Hey yall! It’s been awhile since I’ve written about my shopping hauls, so to get back started again I wanted to show my girls’ shopping haul of the items they've gotten on their shopping trip. My girls are just like me, we love to shop, maybe shop a little too much! 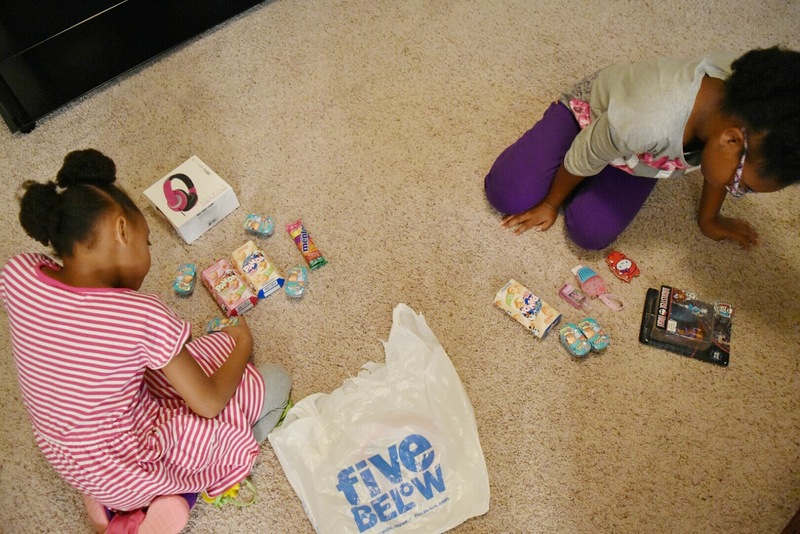 About every other month, the girls likes me to take them out to Five Below because it is their favorite store to get the latest toys and accessories they love like Shopkins, Hello Kitty, My Little Pet Shop, etc. I’m always down to take a girls trip to Five Below because just like the name says everything in the store is $5 and under on everything, every day, and this works well with my budget. Five Below is a great place for preteens and teens, especially girls, who likes to shop for the latest fun and cool stuff that they need. They have everything teens need like stylish clothing, items to decorate their room, sports gear, tech gear, arts and crafts, party supplies, popular candies, today’s on-trend must-have items, and of course toys! They have so much stuff in their store and everything they sell is at extreme value and high quality. Five Below is my go-to shop for travel essentials, school supplies, holiday supplies and gifts. They are the “yes” store because when my girls ask for something in the store I’m always telling them yes they can have it since I know the products are at a great low price that won’t break the bank. It has been awhile since I last took the girls to go shopping at Five Below and last week on Monday evening the girls and I headed to Five Below for a fun girls evening of shopping. I chose for us to go Monday evening so the girls and I would not be around the crowds because the store usually has a lot of shoppers during the day and weekends. We pretty much had the store to ourselves which gave the girls enough time to stop, look, and think about all the things they wanted to get. The girls got their own pull carts (love Five Below carts, very unique) and they split up in the store to start their shopping. Both girls had $25 worth of gift cards (total $50 ) so that was plenty for them to get all the stuff they wanted. The store associates were very helpful and if we needed anything they were right there to help us. I wish I gotten the gentlemen's name that worked there because he had me laughing the whole time! He was looking into my girls’ carts and was like, “hey, that’s not enough keep on shopping, better yet, just buy the whole store!” LOL! If my girls could, they would buy every single girls item in the store because they love everything that Five Below sells. Decisions, Decisions.......it was hard for my girls to choose what they wanted and it took them an hour to finish up their shopping. When we went to the cash register and the gentlemen rung us up, the total was only $38, we had more money left over. That is a really good problem to have and the girls were happy about it because they got to go back to do more shopping! The girls got several more items which brought our total to $53 and some change, not bad at all! My girls made off like bandits! They have gotten so much for a great low price, that’s why I love shopping at Five Below! We got home and the girls poured out all their loot from their bags and immediately started opening their stuff. The girls got a bit of snacks, beauty products, toys, and other accessories, a great combination of items. Now, let see if they’ll make sure to put their new things away instead of forgetting them on the floor, lol! Several holidays are coming up; make sure to visit Five Below in your area to get the needed items for your holiday celebrations. Although Five Below is teen-oriented, you can find some items that adults will like in their stores too. Have you ever shopped for your preteen/teen at Five Below? How awesome is that?! I wish we had a Five Below here! I would be all over that store! This store is way too awesome Echo! I know you would love it! The nearest one near me I think is Mcdonough or I could go to the one in Snellville I think we will do that this weekend and then visit that your pie pizza place and make a nice evening of it. I work so much that it will be nice to take a break give them a couple of dollars and let them run amuck. It's the simple things that keep them happy. Five Below is the best place to stretch your dollars. Sounds like a great weekend you'll be having Kita! You are in need of a break. 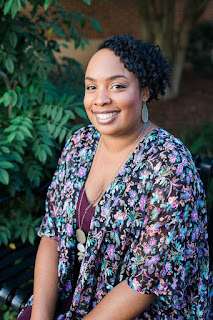 I usually use the weekends to take a break from my blog unless I'm on a deadline. The girls and I will be headed to the movies and the Gwinnett County Fair this weekend. When the boys were younger we spent a lot of time and money at Five Below. They do have some cute apparel accessories, nail wear and electronic accessories as well. I drive by one everyday but haven't stopped in awhile. The girls look wonderful as usual. 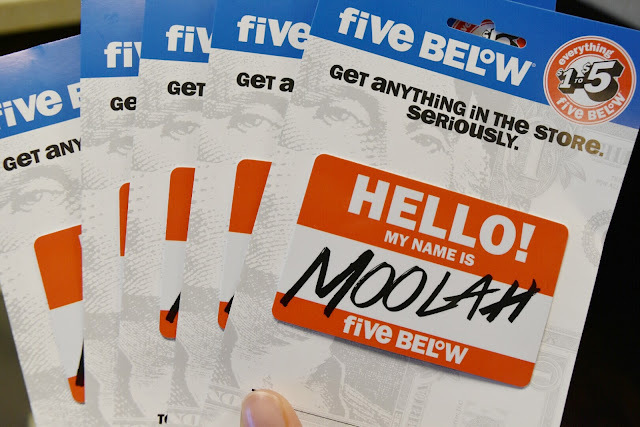 Looks like you'll need to stop by Five Below soon. I'm pretty sure you'll find something cool for the mini men. This store is so awesome! Wow! I've never heard of 5 below, well except the temperature her in the Winter. Looks like you can find some cool stuff there! Oh boy, that looks like a fun store. We don't have one in Iowa. The closest one to me is in Illinois . Oh darn! I wish there was one close to you Brandy.